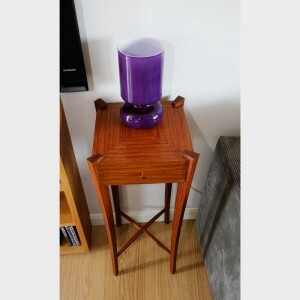 We also make free standing and smaller items, and this is just a selection of some of the items we have made, and can make. 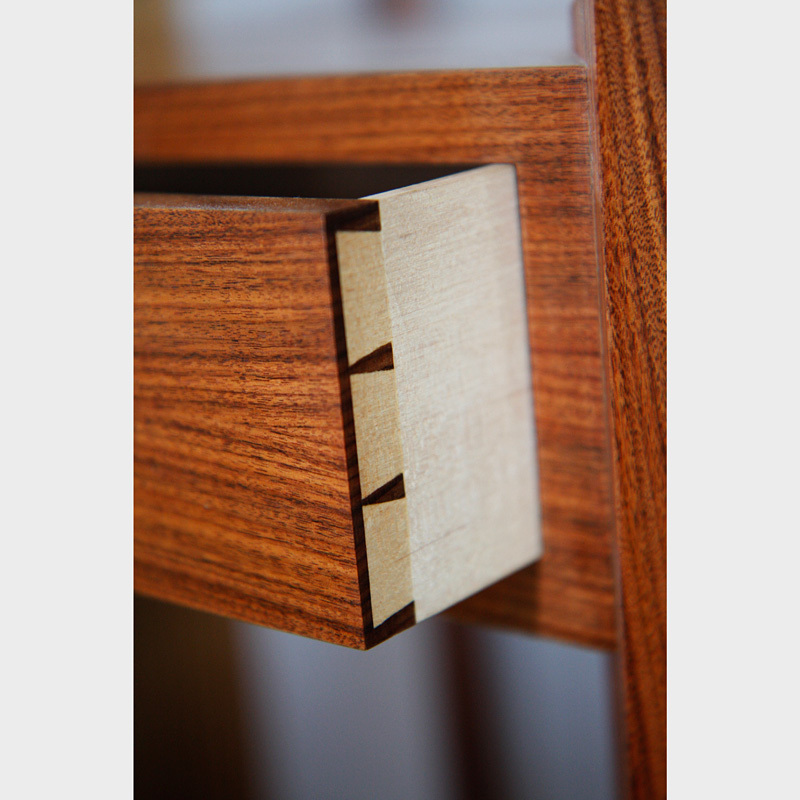 Please feel free to get in touch with us on the contact page if you’d like us to make something for you. 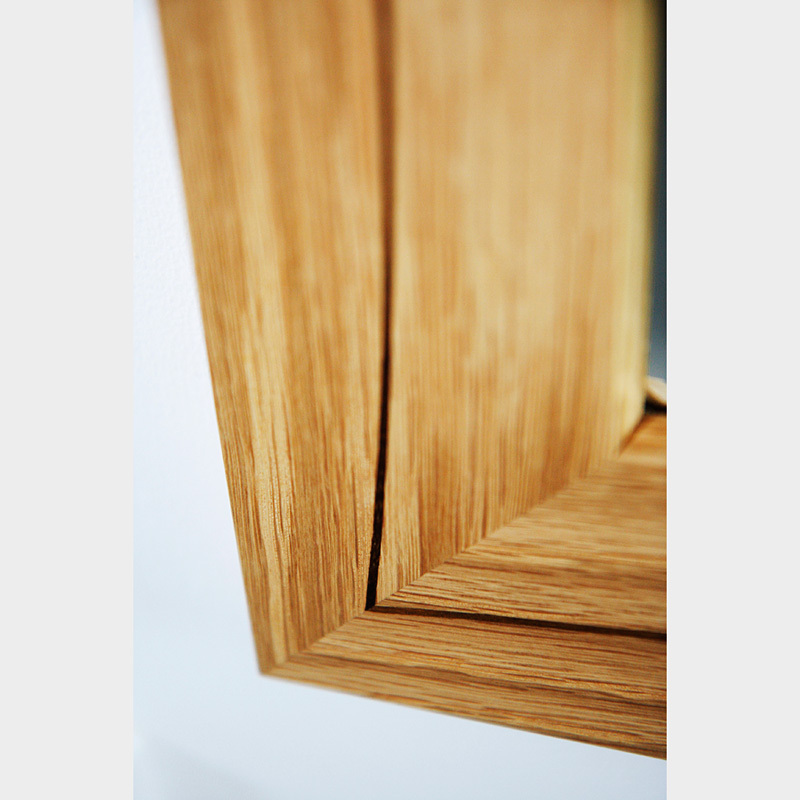 Bathroom cabinet – sycamore lacquered finish, mirror glass. 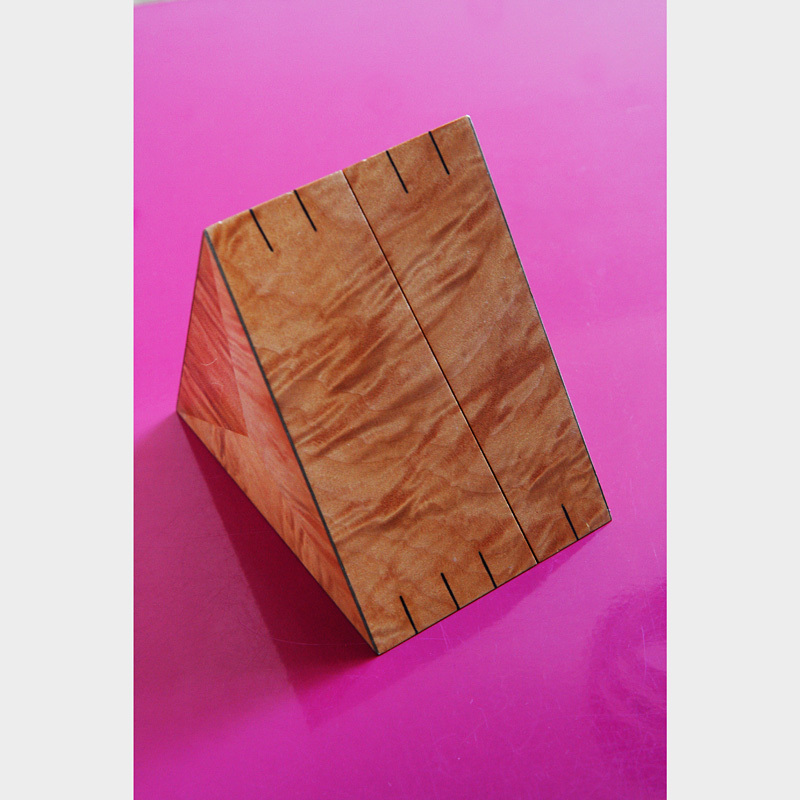 Trinket box – triangular box with bookmatched rippled pear exterior and oak interior. Ebony stringing detail. 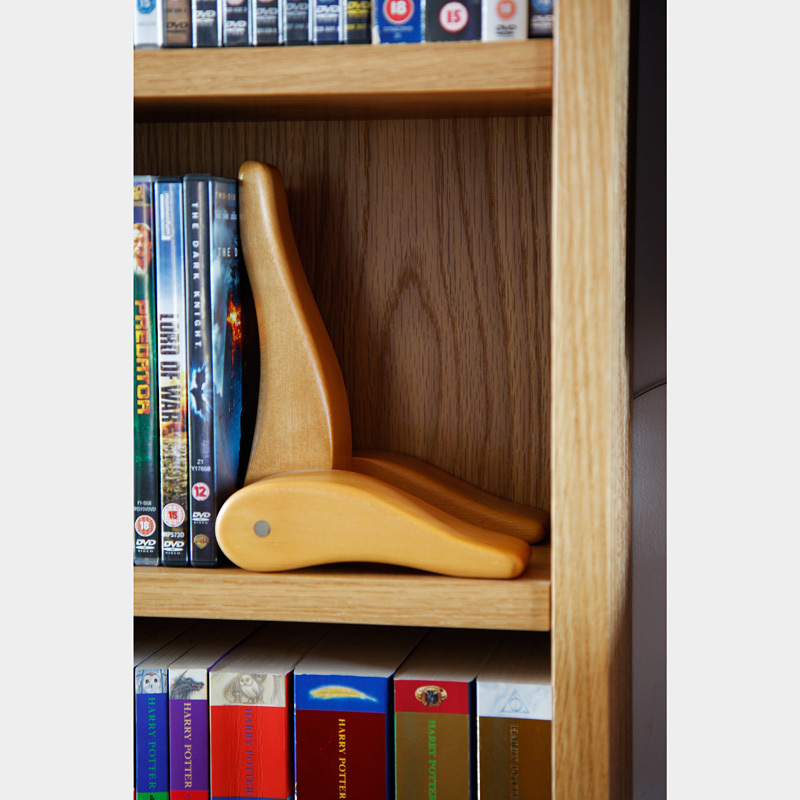 Oak pod shelves – American oak, bevelled front edge. 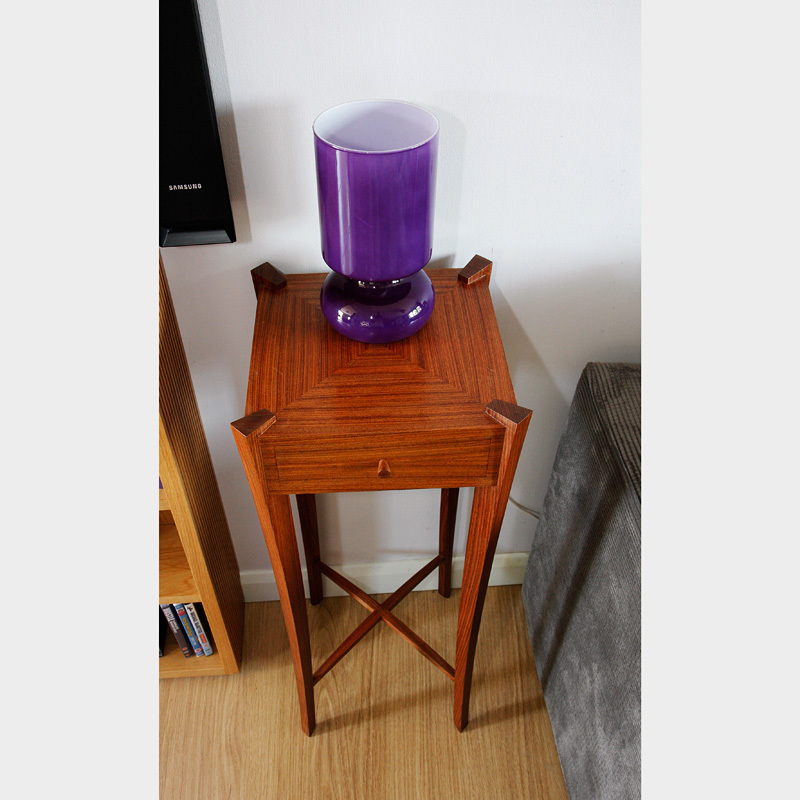 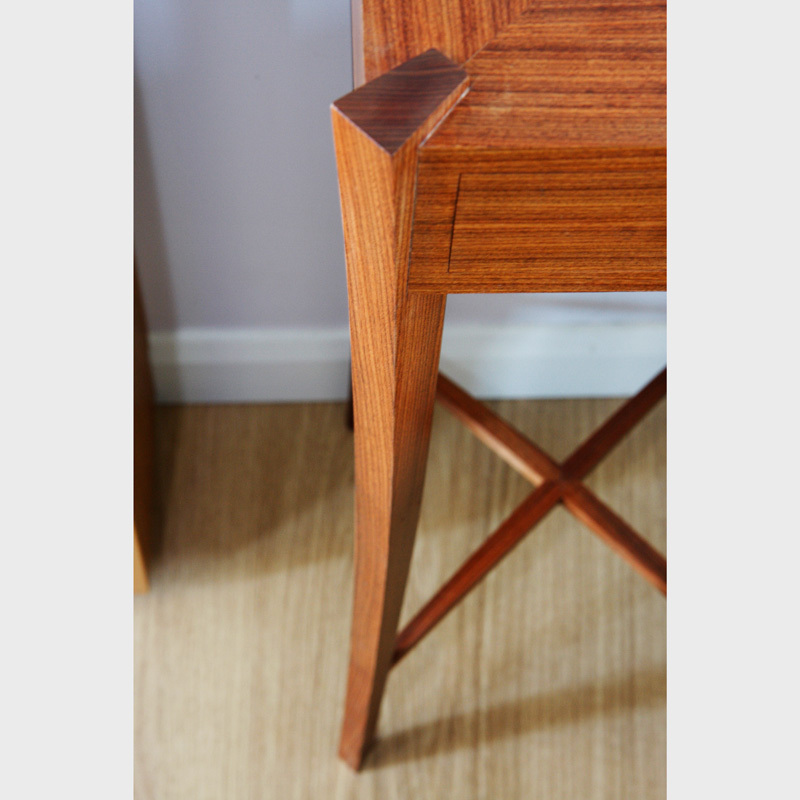 Rosewood side tables – hand dovetailed drawers, bookmatched pattern on top. 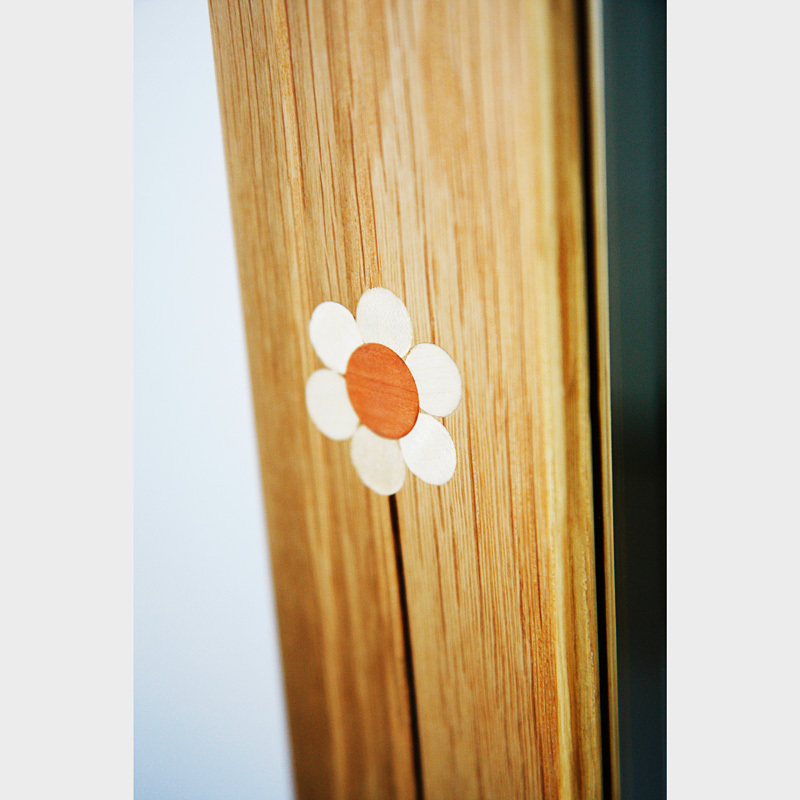 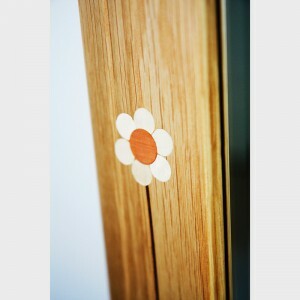 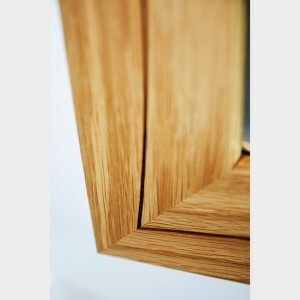 Oak mirror – wood inlays in flower design. 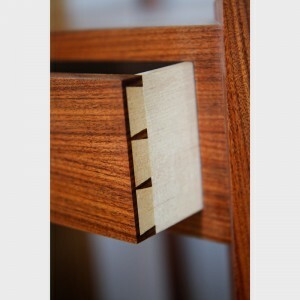 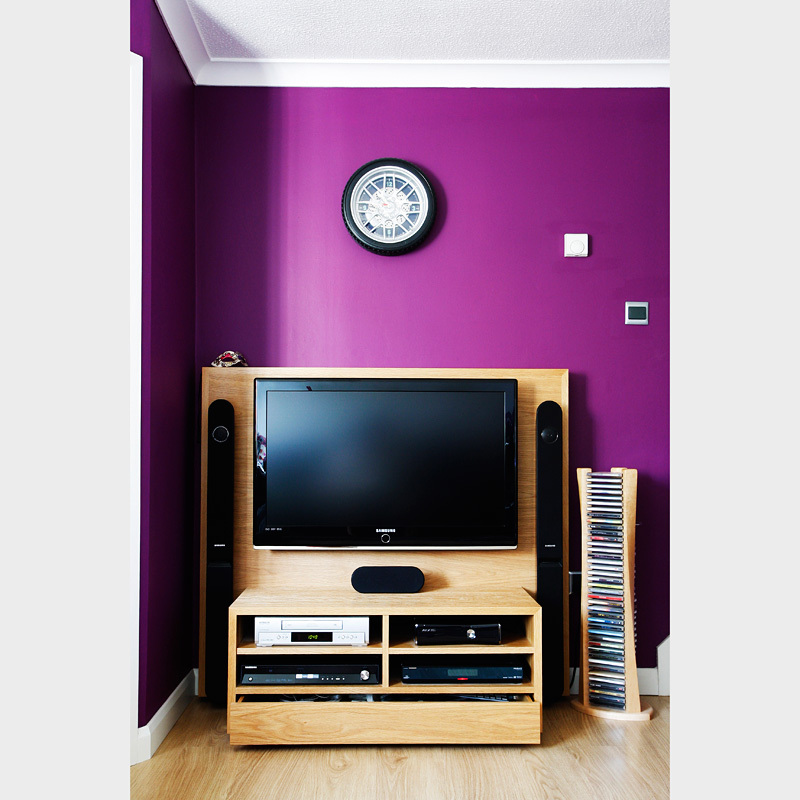 TV cabinet – American oak, cable management behind, drawer below, groove detail. 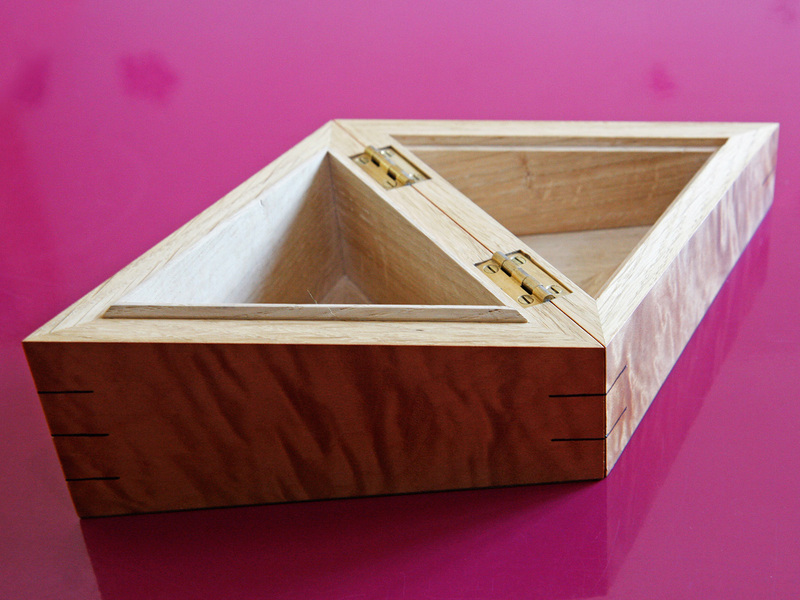 CD racks – in maple, hand shaped twist design detail. 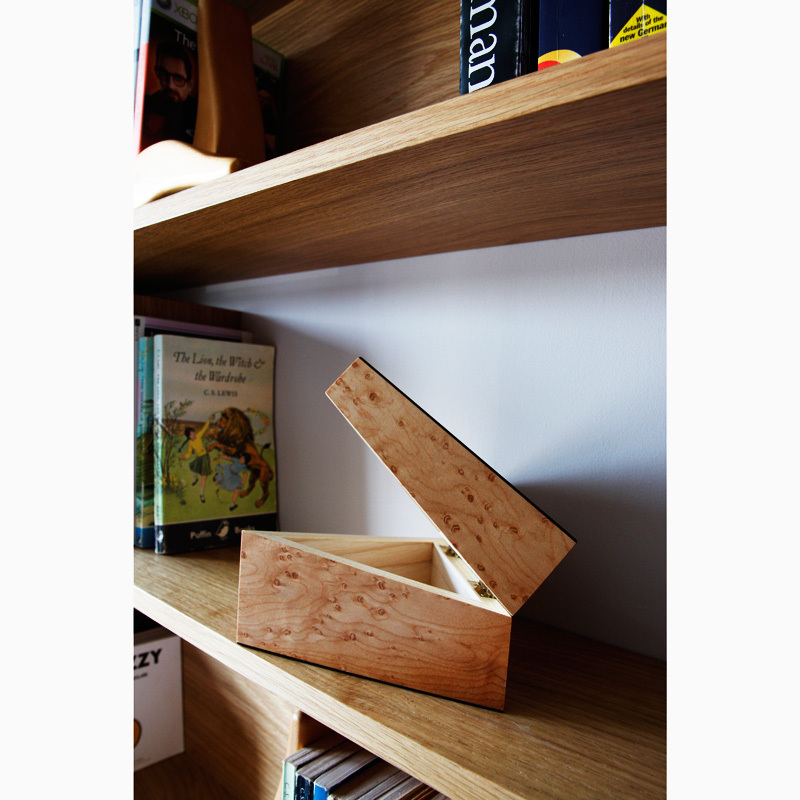 Bookends – hand shaped sycamore, stainless steel detail.